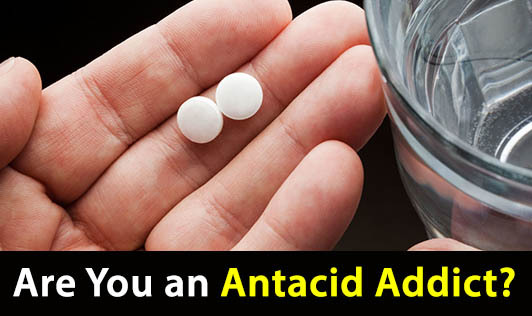 Are You an Antacid Addict? Acidity, heartburn, indigestion... are these the enemies you often fight with? Does eating a nice meal make you feel stuffed? Do you always pop an antacid after a heavy meal? If yes, you need to know the pills better. Antacids are medications used to relieve heartburn / indigestion. They basically lower the acidity in your stomach and make you feel better and comfortable. The use of antacids in the urban Indian population is increasing day by day. These drugs usually give immediate effects. Antacids are to be taken when you expect symptoms or when the symptoms are at peak. The dosage is generally decided by the Physician. Remember, antacids cannot treat severe symptoms such as stomach ulcers or appendicitis or stomach pain and vomiting. If you face any such problems, consult with your Physician immediately. If you are addicted to antacids, you should know that there can be side effects of long term use. It can cause diarrhoea, constipation, kidney stones, calcium loss, weak bones or osteoporosis. Don't be an antacid addict! Instead, have lighter and frequent meals, cut down your intake of oily and spicy foods and keep yourself hydrated. Talk to the Dietitian to get your Diet right.